House Adventures: The electrician wuz here! 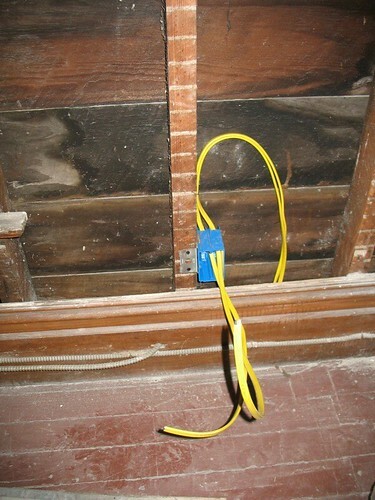 Proof of electrician, originally uploaded by berkeleygal77. The electrician started working today at the house! Also the plumber! I'm happy with that. If all goes according to plan (knock wood), the I-beams will be removed Thursday and the concrete gets poured next week. Funny story: when I told someone that the 50 foot long I-beams were supporting the house, she looked incredulous and said: "You have IVY supporting the house?" Hehehe. Nope. NO ivy. Sorry.